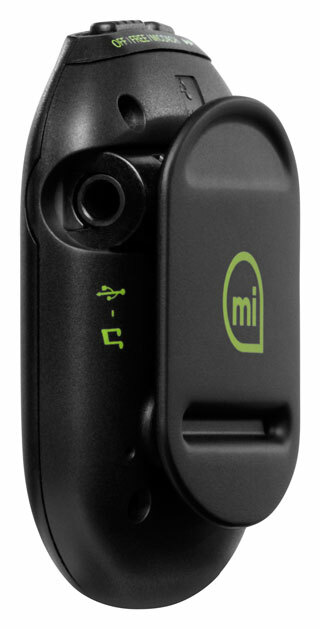 the newest entrant in the increasingly crowded field of interactive activity monitors. 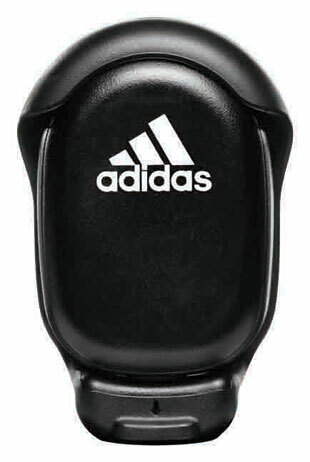 Personal training gadgets have been around for years, but the category has become better defined to appeal to different kinds of people in recent months. On one end of the spectrum are the simple calorie-counters, like Philips DirectLife and fitbit. On the other end are the geek-triathlete devices, such as the GPS-enabled Garmin Forerunner which straps onto your wrist like a small computer. 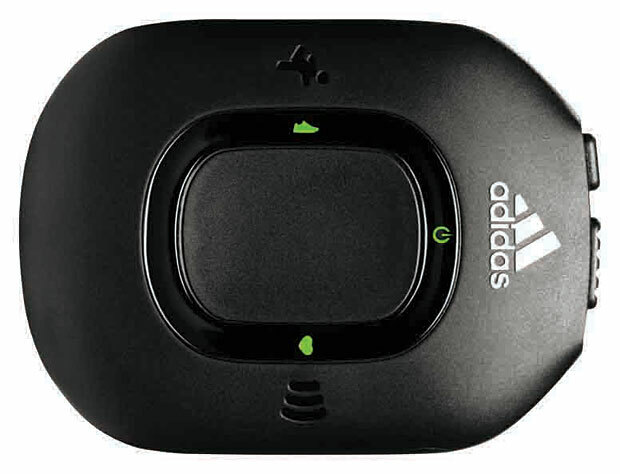 In the middle are devices for casual marathoners: the Nike+ iPod system, and now Adidas’ latest–which is the most full-featured of the mid-range systems that I’ve used. handle my audio needs, since they do it so well already. Sure, it would be nice to automatically sync my playlist with the miCoach software (more on that in a moment), or play a motivating song with a touch of of a single button, but it’s not essential. And my iPod’s audio quality did not deteriorate in any noticeable way from linking the Pacer between my iPod and headphones. of the Pacer gives you an instant update on your current stats when needed. imperfect science to me. Luckily, there is a way to adjust the settings in the Pacer. achievements (such as mileage) to date. often do you get lost and need directions home while jogging? 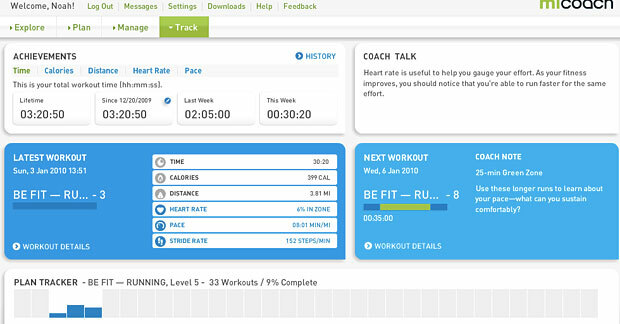 for personal metrics will be well-served by miCoach.